Yes, we know. We have been quite bad about updating the 3DSBlessed YouTube channel of late. But we haven’t forgotten about it, and hope you haven’t either. 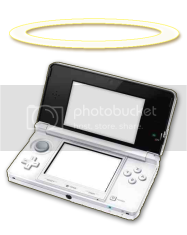 We streamed the video to Ronnie’s Twitch, but made sure to upload it to the 3DSBlessed channel afterwards. The footage includes both myself and Ronnie playing the game, facecam, plus about an hour or so of the pair of us chatting. Ronnie provides many interesting facts in and around Ōkamiden. Hope to see you over on YouTube!